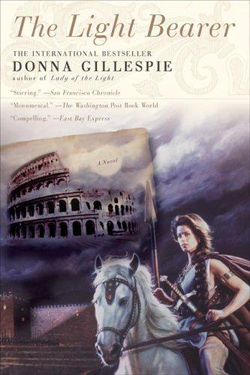 The Light Bearer, a tale of ancient Rome, is the product of twelve years of research into the history, culture and mythology of classical Rome and the proto-Germanic tribes. In the harsh wastes of the barbarian north, a child is born on dirt and straw in the rude thatched hall of a Germanic tribal chieftain. She is Auriane, destined to follow the pathway of her tribe’s most revered seeress. But as ruthless Roman invaders plunder her people's lands, burn their crops and kidnap their young men for the imperial army, Auriane is chosen to lead her tribal people in their struggle against the empire. And as the only world she has known collapses around her, Auriane is captured and taken to Rome, and into a life of horror and glory no seeress could have foreseen. In Rome, senator and Stoic humanist Marcus Arrius Julianus rises to the loftiest pinnacles of government. Through wit, daring and brilliant maneuvering, he struggles to check the murderous whims of the increasingly corrupt Emperor Domitian. As a reign of terror begins, Marcus Julianus orchestrates a vast plot to assassinate the emperor. Cultured Marcus Julianus and barbarian Auriane meet — and form a powerful bond across the gulf of their vastly different ways of life. Domitian condemns Auriane to the arena, where in the halls of a gladiatorial training school she discovers the tribesman who betrayed her people in war. 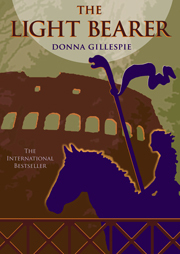 As Julianus’ assassination plot rushes to its cataclysmic conclusion, Auriane must carry out the solemn rite of vengeance before a maddened throng in the Colosseum. The E-Book version now available!